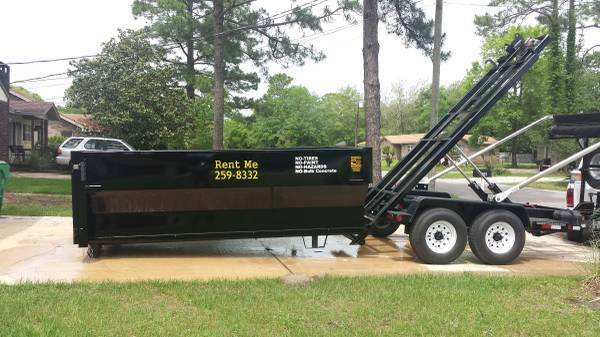 Will Trade Dumpster Rental for anything of value. We have been doing Property Preservation and Property Management for over 15 years now. 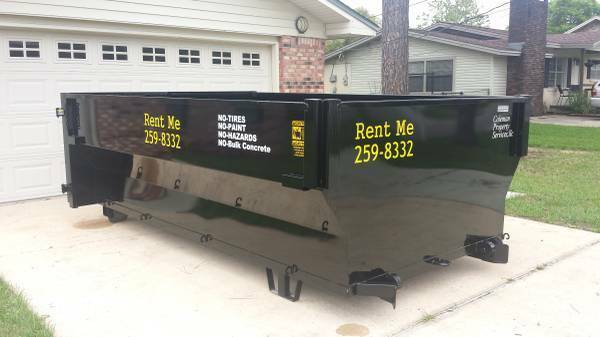 We are now offering a Roll-Off Dumpster Rental Service. Our Dumpsters are driveway safe and we offer same day pickup and delivery for no extra charge. 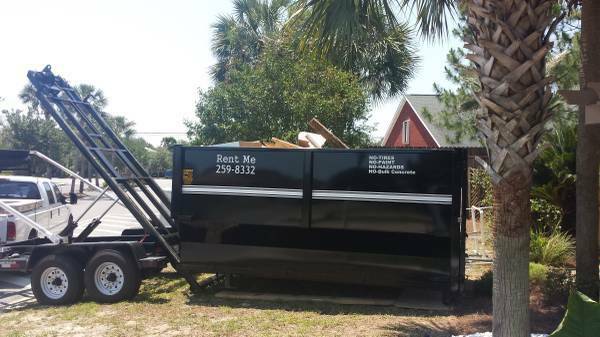 For our 12 Cubic Yard Dumpsters we charge a flat rate of $375.00 for 7 day rental for Construction Debris, Household Waste and Yard Debris. We also offer a 16 Cubic Yard Dumpsters available $475.00 Flat Rate. Our Roll-Off containers are available for rent to both residential and commercial customers. Residential customers use our dumpster service for garage clean outs, yard waste, appliance and trash removal, furniture, carpet and tile removal, remodeling, re-roofing materials, rubbish removal, landscaping, fence removal, building materials, bathroom remodeling, kitchen remodeling and so much more. Contractors and re-habbers use our Roll-Off service to haul away materials such as roofing materials, concrete, bricks, sheet-rock, wood, carpet, tile, bathroom and kitchen remodeling, furniture, appliances and trash removal, building materials, fencing materials, construction and landscaping debris. 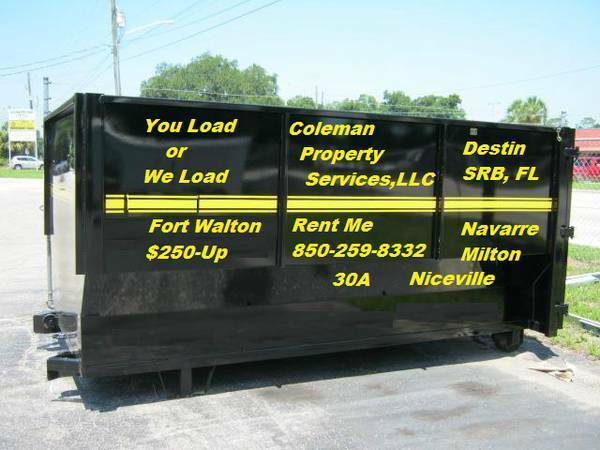 For an extra fee we can load Dumpsters for you and we also do light interior & exterior demolition, shed tear downs, kitchen or bathroom tear-outs, carpet removals, interior wall removal, exterior deck removal, fencing removals and so much more. We are now servicing Okaloosa, Walton, Santa Rosa Counties.